If you&apos;re already a fan Cool 18®, you will love our all-new Cool 18 Pro line. These lightweight pants score in every category with four-way stretch fabric, soil release, easy care, UPF protection and a hidden expandable waistband. With a pleated front and classic fit, they can move from the office to the green to after hours with ease. And they even feature a waistline shirt gripper to ensure you never look "undone." A cut above the rest. Featuring stretch fabric and an updated comfort compression waist, these men&apos;s Haggar pants deliver constant comfort and classic style. Work to Weekend Denim pairs the comfort and styling of our khakis with the look of a jean. With a hidden expandable waistband and fabric that never restricts, they are the perfect option any day of the week. A cut above the rest. 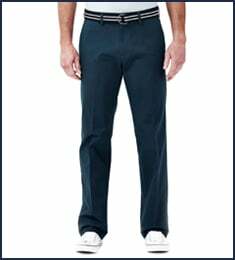 Featuring stretch fabric and an updated comfort compression waist, these men&apos;s pants deliver constant comfort and classic style. Cool 18® Pro Pant is rated 4.4 out of 5 by 105. Rated 5 out of 5 by RDcool from Awesome Pants, perfect fit, great features Bought this pant the first time a couple of months ago. Was so impressed with the material, fit and features like the no slip waist band and expandable waist. I ordered 6 and now only wear Haggar. They are the best pants ever and I’ve tried many brands out there. Can’t go wrong with Haggar. Rated 5 out of 5 by Neil T from comfortable & lightweight I like the pants but they seem to run small. I purchased a 36 waist which normally fits great and the Haggar pants are snug. 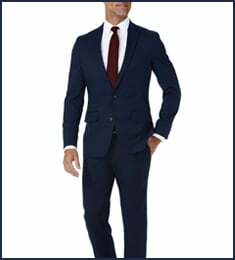 Rated 5 out of 5 by Business Dave from Great looking slacks Perfect for today's semi casual business environment - casual, but still sharp looking is my dress pattern. Rated 5 out of 5 by Mopoo from Touchy reply pants THese navy pants are so exciting to wear. Every time I wear them, people want to touch my pants. I really enjoy wearing them. 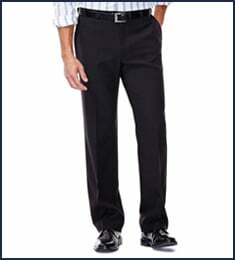 Rated 5 out of 5 by Chadr from Favorite dress pants These are my favorite dress pants. I like the pleats because they make the pockets roomier. 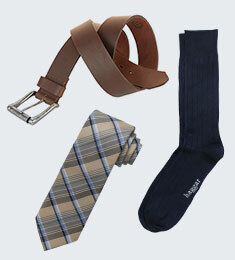 And classic fit is about as close to relaxed as I'm going to get in modern dress pants. They are comfortable. And look good, too! Rated 4 out of 5 by Aydin from This PRO cool 18 pant is true to size, comfortabl Great but the other COOL 18 products don’t fit well and not comfortable. Cool 18 pro NAVY color is not true navy, it is not even dark blue. Other model pants have to correct shade of NAVY. Rated 5 out of 5 by WEW3 from Great Pants The new Cool 18 Pro Pants are incredible in price and quality. They are light and extremely comfortable for the office or a round of golf.